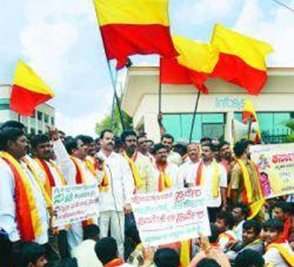 Karnataka government is mulling 100% reservation for Kannadigas in all private sector industries, barring IT and biotechnology firms, which avail concessions under the state industrial policy. Those that don’t comply will be denied the concessions. 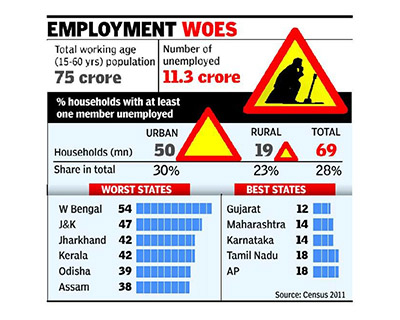 Karnataka is much better placed with respect to unemployment than other states. The move will only harm the state’s relatively healthy economy in the long run. But CM Siddaramaiah is betting on bad economics being good politics. What is the Karnataka government planning to do? Karnataka government has released draft amendments to the Karnataka Industrial Employment (Standing Orders) Rules of 1961 that would implement 100% “horizontal reservation” for Kannadigas for blue-collar jobs (manual labor and jobs that pay hourly rates) in the private sector. This would extend to all companies receiving government concessions, except those in the infotech and biotech sectors. Those that don’t comply will be penalized by being denied the concessions. "Every industrial establishment which has obtained concession of land, water, electricity or tax rebate or deferment of tax as per state industrial policy shall provide horizontal reservation of 100 per cent in employment to local people (Kannadigas) in case of workmen classified in sub- clause (a),(b),(c),(d),(e),(f) and (g) and above," the notification on the draft rules read. It also calls for providing not less than five per cent of employment to persons with disabilities to get government incentives. According to the notification, ‘local person’ or Kannadiga means any person born in Karnataka or who has lived in the state for not less than 15 years and knows to read, write, speak and understand Kannada. A person with disabilities means any person with disabilities as defined in the Persons with Disabilities (Equal Opportunities, Protection of Rights and Full Participation) Act, 1995. The draft amendments have been thrown open to the public for objections or suggestions. Note: There are two types of reservations referred to as 'vertical reservations’ and 'horizontal reservations’. The reservations in favour of Scheduled Castes, Scheduled Tribes and Other Backward Classes may be called vertical reservations whereas reservations, for instance, in favour of physically handicapped can be referred to as horizontal reservations. Horizontal reservations cut across the vertical reservations - what is called interlocking reservations. Why is the government mulling such a move? 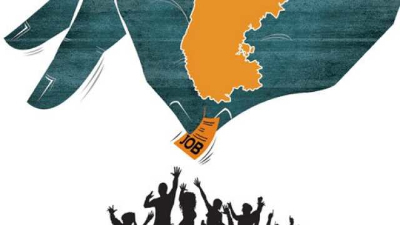 Karnataka has had a three-decade long history of attempts to make a case for job reservations for locals in the private sector. The current Congress government’s industrial policy of 2014 clearly spelt out the contours of this policy. The policy is a symptom of a larger malaise.With not enough jobs being created — it is the lowest in seven years — and the poor spread of those that are getting created, the pressure on, and in, relatively better-performing states is growing. Thus, with a significant number of blue-collar workers from, say, Bihar and Uttar Pradesh, in the fray for real-estate or warehouse-operations work in Bangalore, Kannadiga workers of comparable capability find the competition getting much tougher. Since Bangalore exploded on the national and global map as the most sought-after destination primarily for software development, it witnessed a huge population influx from all corners of India naturally upsetting the local and migrant balance and causing social friction primarily owing to economic reasons. For the government, to make such a move is in line with the politics of short-term political gains by appeasing the locals, keeping 2018 elections in mind. When does the reservation appear unnecessary? This policy is inept on multiple levels as it is providing a solution proven to be economically counterproductive in search of a problem that doesn’t exist. The Economic Survey Of Karnataka 2015-16, released earlier this year by the state government, paints a healthy picture of Karnataka’s labour situation. By every major metric, the state is performing considerably better than the Indian average. Karnataka’s labour force participation rate is 57.8% compared to a national average of 55.6%.The unemployment rate combined across urban and rural populations is 1.7%, exactly half the national rate of 3.4%. A more granular look shows that among the various socioeconomic groups, some of the highest employment rates are found among the least educated at the bottom of the ladder — precisely the workers the policy is purporting to protect. The unemployment that does exist will not be solved by the policy. Indeed, the reverse is more probable. A large number of studies have provided empirical evidence of the economic benefits of labour mobility, both to the workers’ regions of origin and the region where they find employment—from keeping the labour market competitive and thus improving production efficiency, to higher education levels for the next generation via remittances, enabling them to move up the employment value chain. Where will the government face legal hurdles? 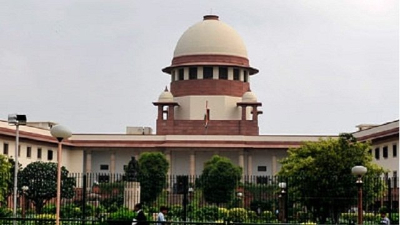 The amendment, if adopted, will violate the landmark Indra Sawhney judgment of the Supreme Court which caps reservation “of any manner” at 50%. Also, Article 16(3) of Indian Constitution says that only the parliament can make any law prescribing employment or appointment for a government job on the basis of residence. This means that if parliament finds it suitable, it can discriminate on the ground of residence, and is empowered to make a recruitment within a state or union territory in which person’s “residence” may get preference. But at the same time, the state governments are NOT allowed to make such a recruitment in which residence of a person gets preference in state government jobs. In Kailash Chandra Sharma versus the State of Rajasthan and others, 2002, the Supreme Court observed that residence be it within a state, region, district, or lesser area within a district cannot be a ground to accord preferential treatment or reservation, as provided under Article 16(3). This was upheld by the courts when the Uttar Pradesh government’s 2007 reservation initiative was held unconstitutional in 2011 by Allahabad high court — a judement further upheld by the Supreme Court in 2012. Chief Minister Siddaramaiah’s government is, thus, unlikely to clear the bar even though it says it is making the policy legally fireproof. Who else is the government promoting? 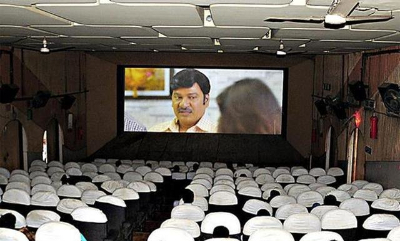 The state government has ordered the setting up of ‘Janata Theatres’ on the lines of ‘Amma Theatres’ in neighbouring Tamil Nadu.The theatres will screen only Kannada films. Promising to provide entertainment to the general public at affordable cost CM Siddaramaiah had announced setting up of Janata Theatres in his budget speech during 2016-17. After almost a year since the announcement, the state government has now come out with guidelines and framework for setting up the theatres across the state. A formal order in this regard was issued on December 23 with financial assistance ranging from Rs 25 lakhs to Rs 1 crore depending on the number of screens in each theatre. The order is applicable to both upcoming theatres and also the existing ones which would like to be converted into Janata theatres. Upon receiving the assistance, the theatres have to screen only Kannada cinemas and if any one violates the order, then the theatre owner has to refund the assistance along with the interest. How is this a good political strategy? Karnataka is not alone in pursuing such counterproductive economic policies. Appeasing the local population during elections is the prevailing political fashion, perhaps. The situation bears strong similarity with what Donald Trump promised during his campaign for US Presidency and what the right-wing parties of many European countries are promising right now. All of them are against immigrants. Almost every such campaign has been successful in 2016. 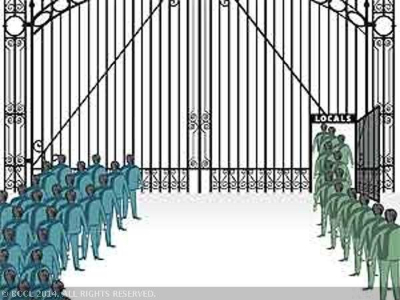 Economic populism and protectionism has also been the tendency of nativist politicians in states like Maharashtra. Blocking migrant labour will broaden access to employment only in the short term. And that is alright because most politicians focus only on the short term implications of policies on electoral outcomes. Although there is a strong economic argument against such reservation policies, it is not easy to deal with the political fallout and there may be situations where the short-term political benefits outweigh the costs. There has been a rise around the world of politicians riding on anti-immigrant campaigns by focusing on local jobs and trying to close the economy from the negative effects of globalization. The short term outcomes of such policies are then taken credit for, and have led to toppling of incumbents. For CM Siddaramiah, the anti-establishment appeal is missing, and being in the last stage of his term as chief minister, he may well have had to do something dramatic to offset the disappointments thus far. He will find it difficult to explain why he waited so long to even propose this. 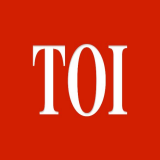 However, it is too early to say if his party, the Congress, will gain from this move in the assembly elections.For sure, none of the other political parties in the state will publicly oppose it. But if this policy goes through, it will eventually hurt the state.